I feel it’s very important to keep a broad outlook on the general carscape. While we all have our preferences to specific scenes or brands, there’s so much out there that needs to be seen or experienced that we sometimes have to venture outside of our comfort zones. And it’s specifically classic cars that I’m talking about here – something I just had the pleasure of indulging in last weekend. 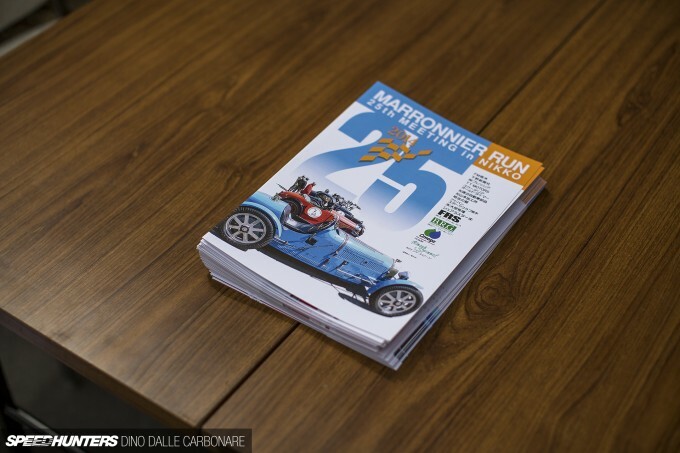 The Marronnier Run is now in its 25th year. 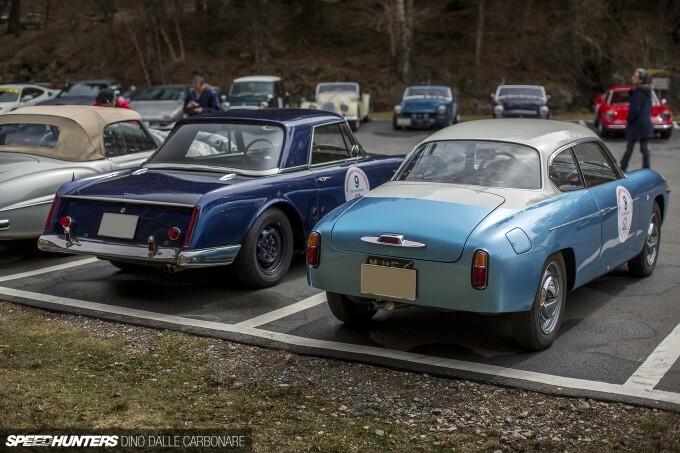 It’s not the biggest of car rallies, but what it lacks in sheer numbers it more than makes up for in quality and atmosphere. This is the second time that I’ve participated in this time trial, and just like in 2013, this year I was co-piloting my friend’s fully-original S30 Datsun 432 Fairlady Z. After some minor issues at 5.00am during our departure from Tokyo on Saturday morning, we eventually made it to the Nikko Kirifuri Ice Arena from which the main day’s event would begin from. 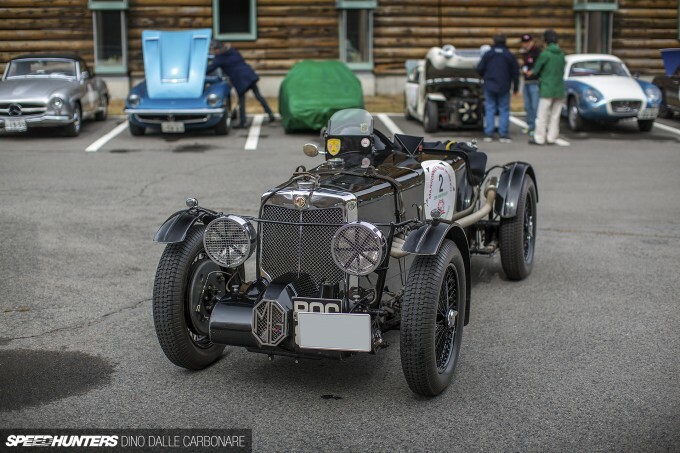 As the route was the same as last year, this time I thought it would be better idea to just concentrate on the Concours d’Elegance aspect of the event, which was held outside the hotel we were all staying in for the night. 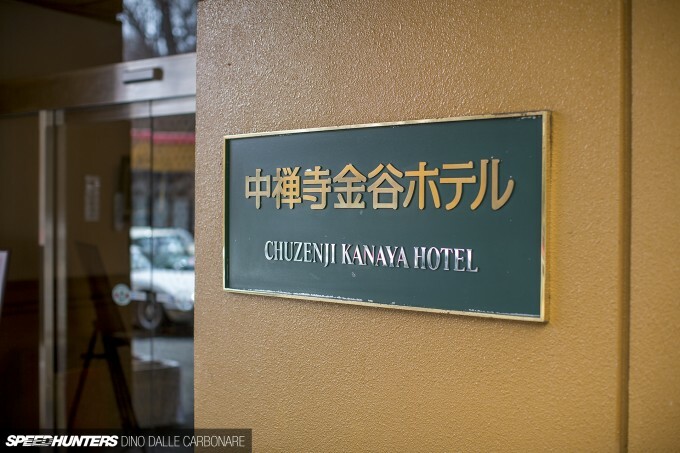 Located right in front of Nikko’s Chuzenji Lake at an elevation of 1,269m, this would provide the perfect place to get some much needed relaxation in the natural hot spring baths before all reuniting the following morning. After the great experience I had last year, this was one event that I was really looking forward to. It’s so different to everything I cover over the course of the year, and it’s held at such a relaxed pace that there is so much time to breathe and really focus on the cars themselves. After all, getting into classic cars is all about talking to people and owners and unearthing history. 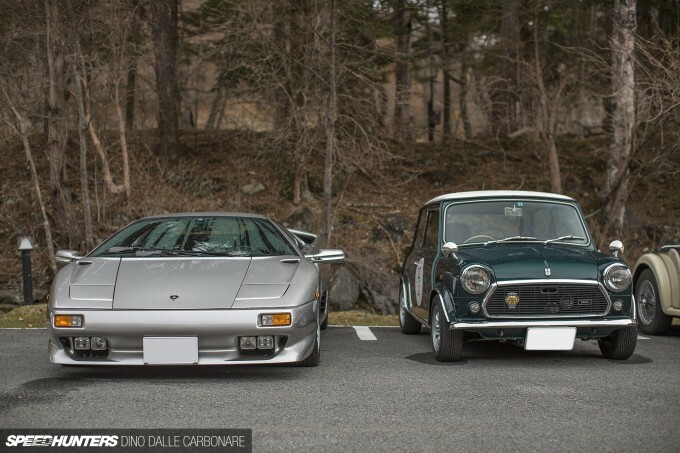 I’ll start with these two – first the stepped-nose Alfa Romeo 1300 Junior which is a real favorite in Japan. After all these years it’s still a great car to throw around the corners, which is why you’re always guaranteed to see a few examples being put through their paces at JCCA events at Tsukuba and Fuji. The Japanese also love to tune them. Some take a very authentic historical and approach, while others don’t seem to really care too much and add modern upgrades to get the most out of them. 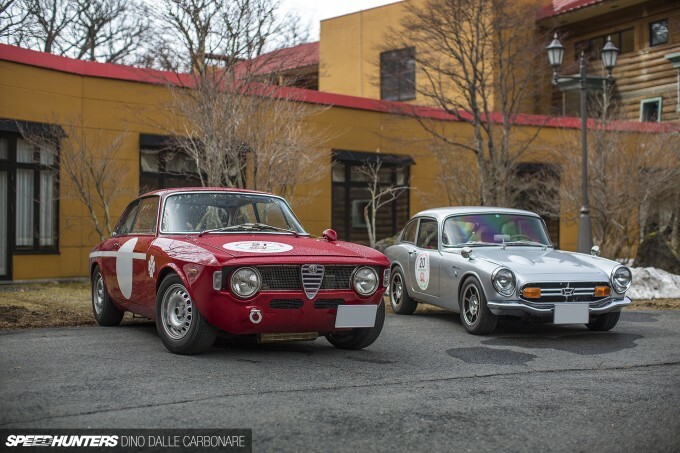 Seeing the Giulia and any other Alfas from the ’60s and ’70s sort of makes me wonder how it’s been possible that Alfa Romeo is in the situation it is now. Granted, they have done a good thing with the carbon-chassis 4C, but they still have a long ways to go before they can really inject that Cuore Sportivo spirit into the rest of their line up. Beginning with rear-wheel drive platforms would probably be a good start! On the other hand, Honda has always managed to captivate sports car aficionados – albeit in a different way to the better-known European brands. 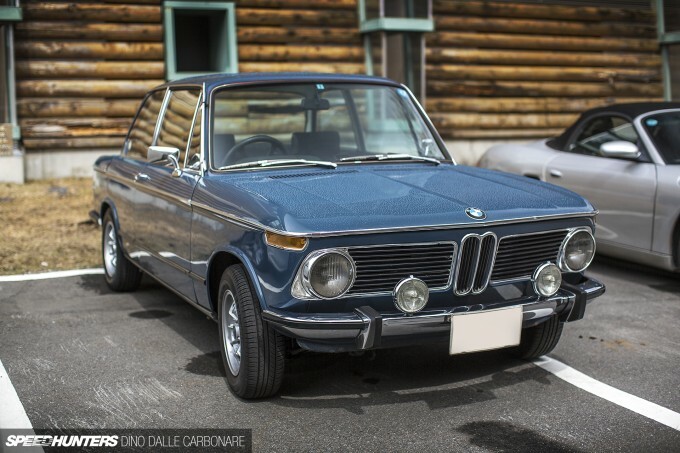 Take this ’67 S800 for example. The key point here was keeping weight as low as possible through the compact body and providing power through a small but high-revving engine that shared much technology with Honda’s bike engines of the era. 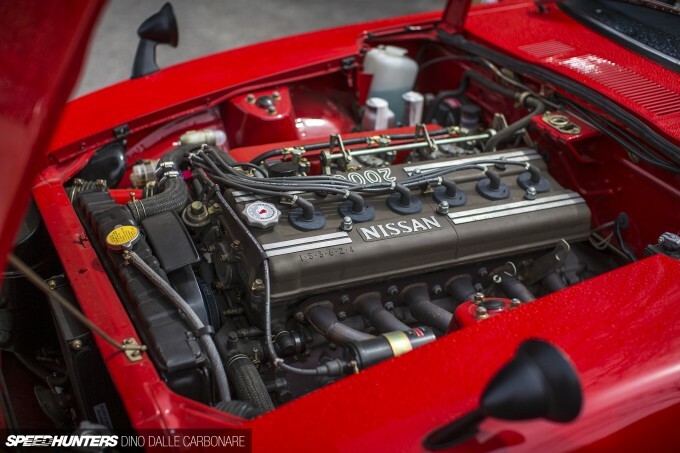 The result was something very special – the father of the S2000 perhaps. 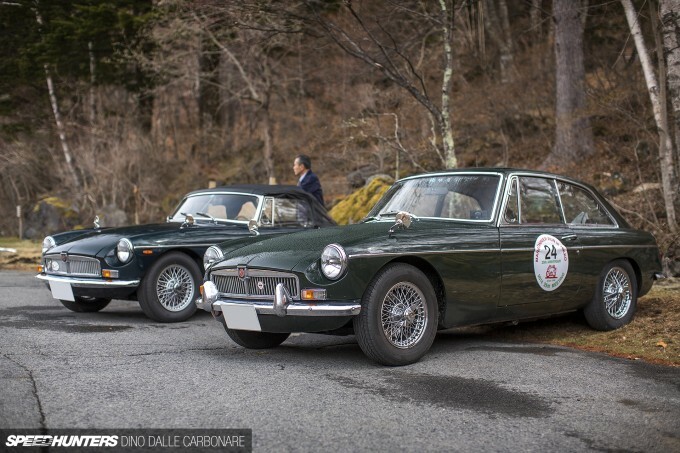 There are always plenty of British cars at the Marronnier run, and MGs are always on top of the popularity list. I’m quite partial to the V8 model you see here. Except, it was actually this track-tuned version that was running rings around every other car at the gymkhana event. While my friend and I in the 432 were struggling to remember the actual course layout around the cones, the driver of this car was drifting around the tighter turns and using the handbrake to tighten up his lines. It was truly a joy to watch. 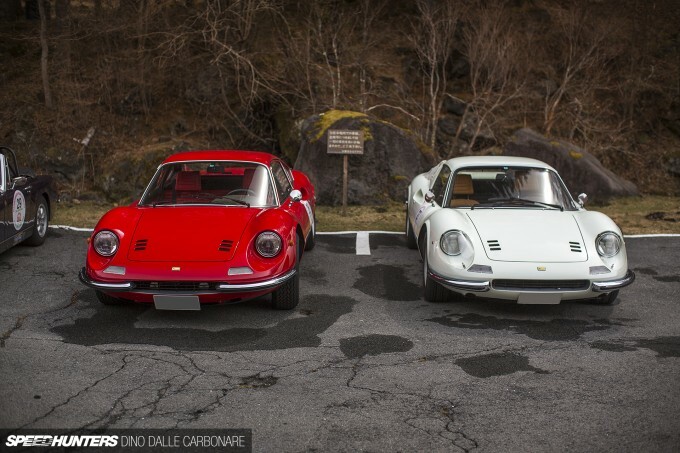 It’s got nothing with the fact that I share the same name as these cars, but ever since I can remember I have always been really attracted to the Ferrari Dino. The red 246GT was the winner car from the 2013 event, and the driver/co-driver combo managed to win the event again this year thanks to their impeccable time keeping. While Ferraris and red paint go hand in hand, it was the white GTS that really caught my attention for its color alone. Absolutely stunning would be an understatement, although I’d rather have a hardtop version. Interestingly, Ferrari branding doesn’t appear anywhere on the car itself. 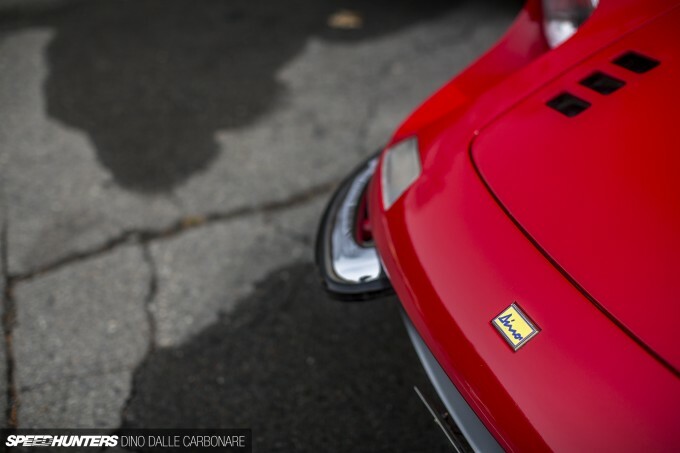 The Dino name was used by Enzo Ferrari to honor his late son Alfredo, who he called Alfredino – hence the nickname. Last year this particular Mercedes-Benz 190SL was wearing a hardtop, which while making it a much easier car to live with, doesn’t do much for its lines. I much prefer the softtop look – better still if it’s folded down. Looking at this Austin Healy Sprite shows you just how little of a concern crash protection was to manufacturers back in 1959. Still, this was a compact sports car so there was no need to be concerned with trivial things like that… I really love the attention to detail in the layout: longitudinally-mounted engine, compact chassis, independent suspension and a one-piece front cowl that when lifted reveals all of the interesting bits. Next up was a first for me, because I had never actually seen a Zagato-bodied GTE version of the Lancia Appia in person before. 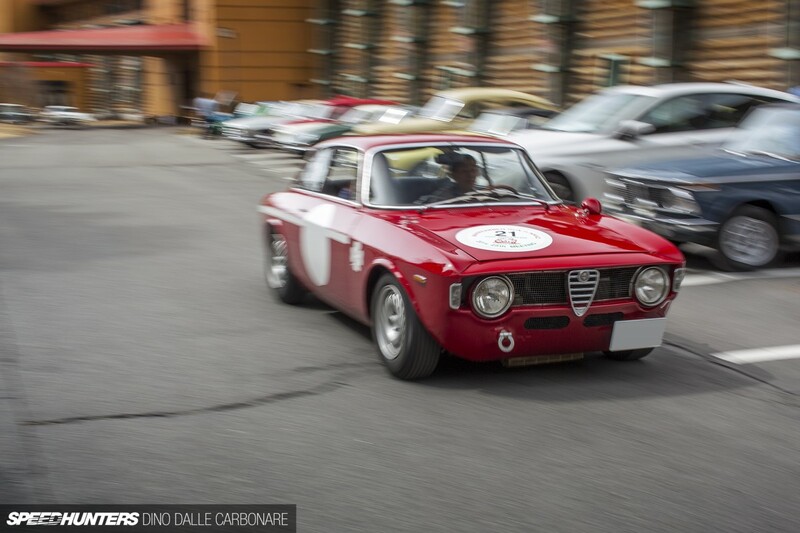 This example looked sensational with its original Milano plates. The design is quite strange to me – an almost awkward coupe body stretched over a pretty long wheelbase. Providing the power is Lancia’s legendary narrow-angle V4 engine, which displaces just over 1,000cc hence its compact dimensions. 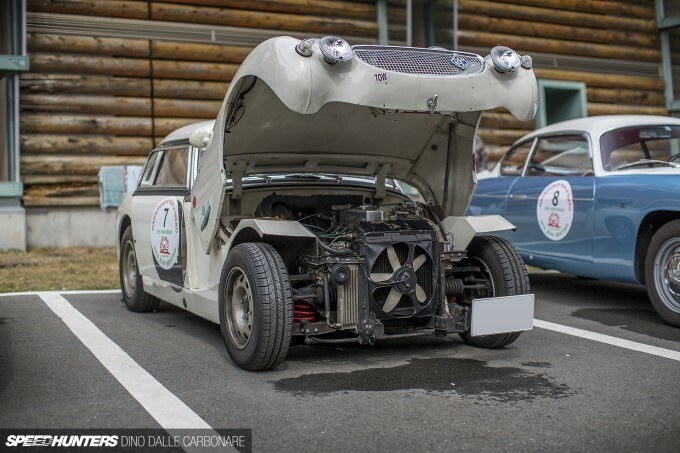 Lancia has certainly come up with some cool and interesting engines in the past. 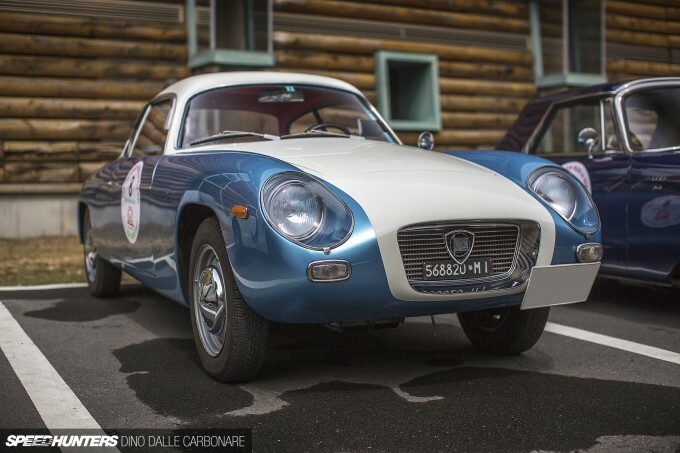 The Lancia wasn’t the only Zagato-bodied car at the Concours, and parked right next to it was another return entry from 2013 – this Abarth 750GT. Aside from its compactness, this neat little sports coupe stands out for its unusual shape. 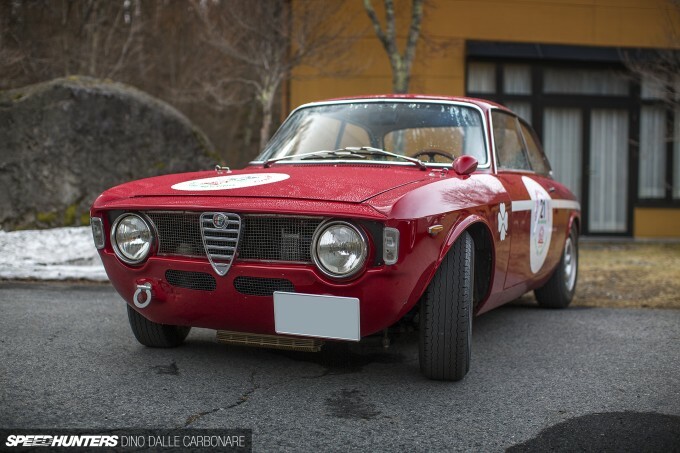 It definitely returned a lot of great results for Carlo Abarth back in the day. 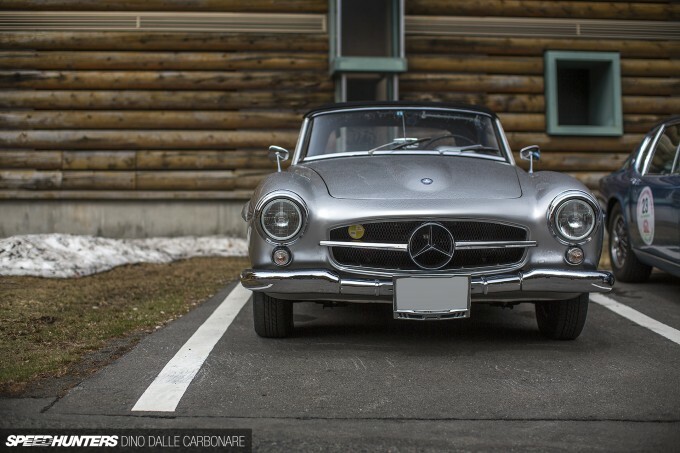 Oh look, it’s another 190SL! 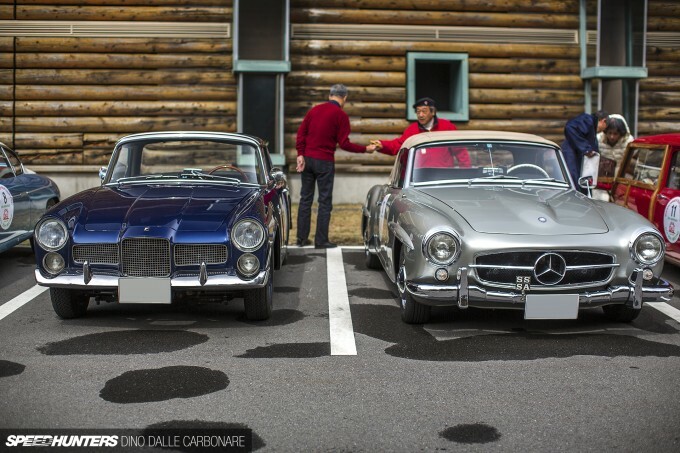 As cool as the silver convertible is, it just can’t match the rarity of the car it’s parked up next to though. The 1961 Facel Vega Facellia F2B is one of only two cars of its type in Japan. The French brand had the cars built in Spain, but the early ’60s interpretation of what a luxurious performance coupe wasn’t much of a success. It’s a pity as it’s quite a unique looking car and one I was happy to see show up at the Marronnier Run again. 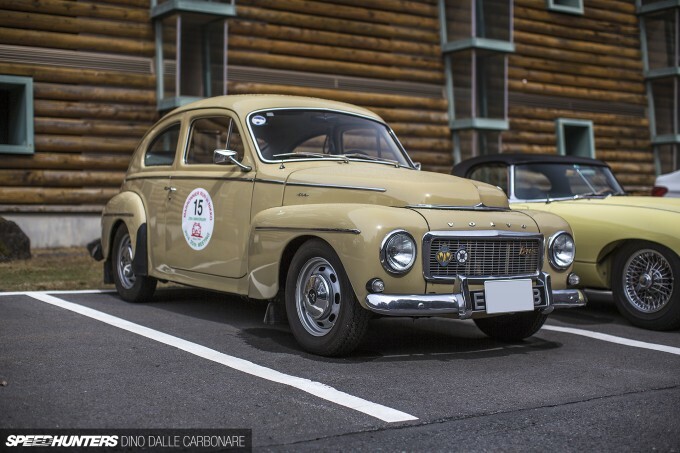 About this time last year this 1964 Volvo PV544 was merrily being driven around the British countryside, and keen-eyed readers might have already spotted the black front plate underneath the Japanese one. 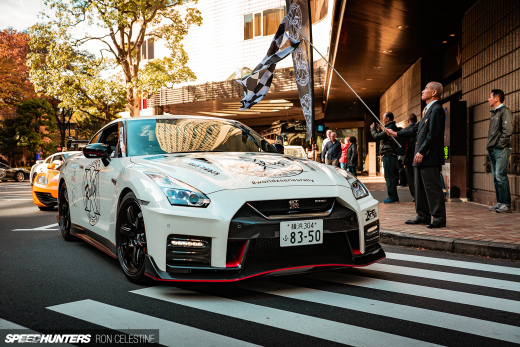 Thanks to the wide reaches of the internet, the new owner was able to track the car down and in a short period of time successfully imported it into Japan. 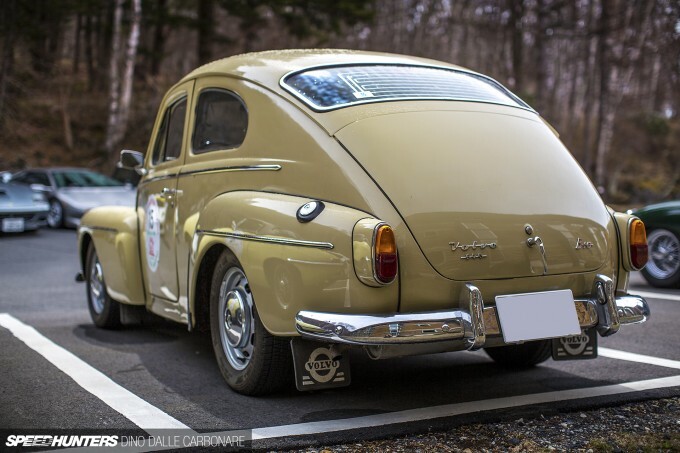 Volvos have always been known for having been built rather well, and this hunched back coupe is no different. It’s still in great shape too, and extremely well looked after. 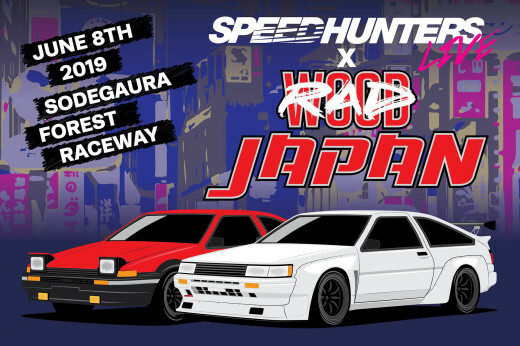 I look forward to spotting this thing driving around the streets of Tokyo. 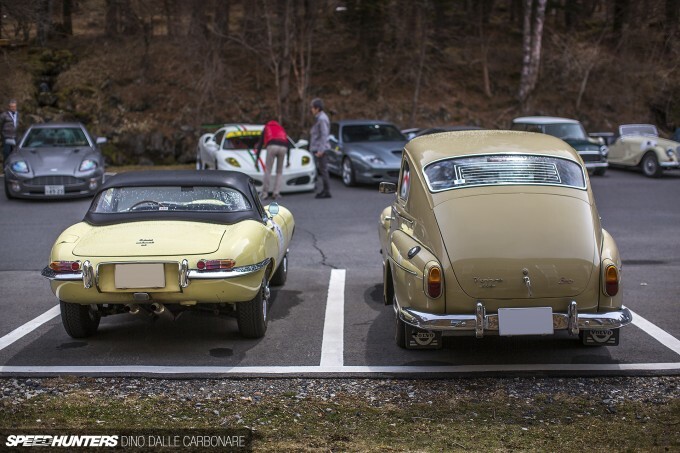 Here it is sitting next to a great British legend, the Jaguar E-type. If you look closely you will notice this is a left-hand drive example and therefore probably sourced from sunny California. 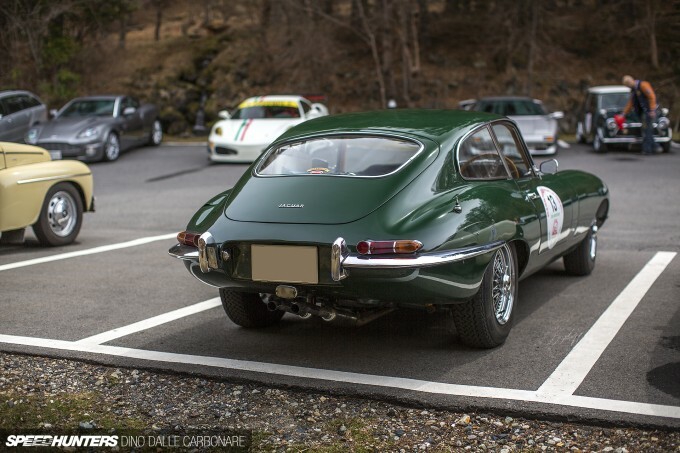 I’m not sure about you guys, but for me the coupe version of the E-type is the one I’d choose every time. Just look at that rump! There were a few cool Teutonic legends present too, starting off with this completely stock BMW 2002 which was still sweating off the remaining condensation from the previous night’s frost. I’m not quite sure what it is, but over the last couple of years I’ve cultivated quite an attraction to the older narrow-bodied 911. 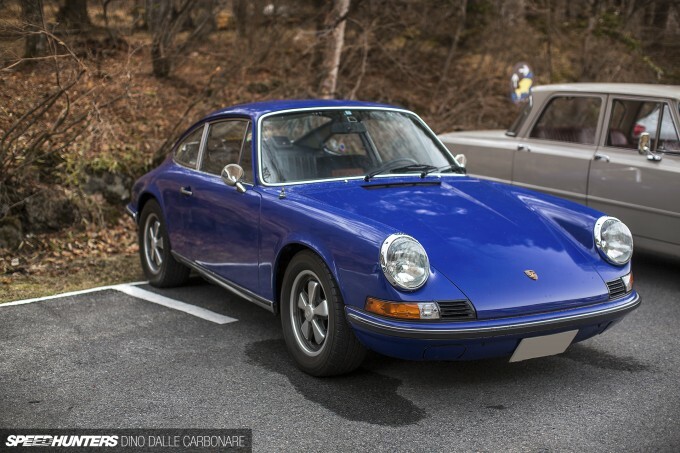 That probably explains why I spent a lot of time lingering around this 911T, which aside from the addition of a more supportive Recaro driver’s seat, was in beautiful stock condition. Of course the Fuchs were present too. 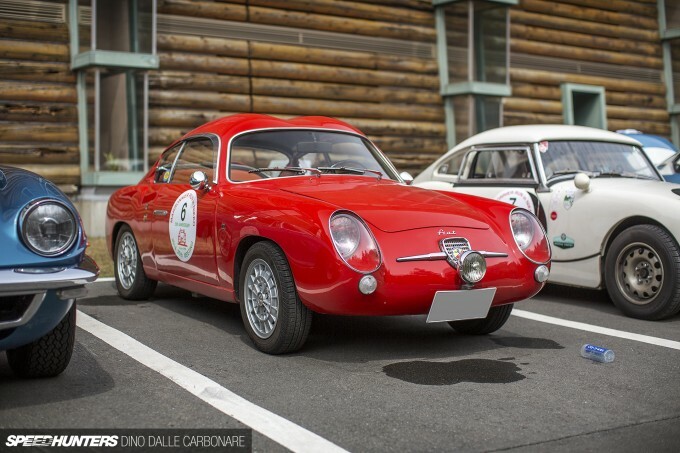 While I was looking at the Porsche and dreaming of owning one of these beautiful classics, the Italian Police arrived. 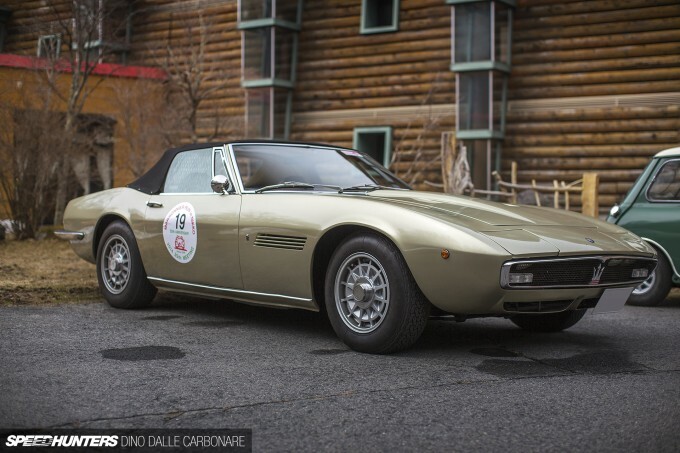 Well, at least the car everyone associates the Polizia and Carabinieri of the ’70s to. The reason the police chose this car was because of its superb handling and decent power. 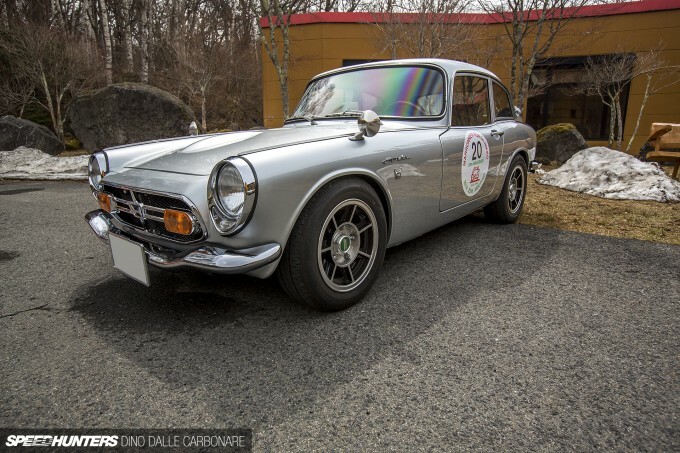 Like the two-door Giulia, this is a pretty popular classic in Japan. Could this image show two more different cars? I think not! 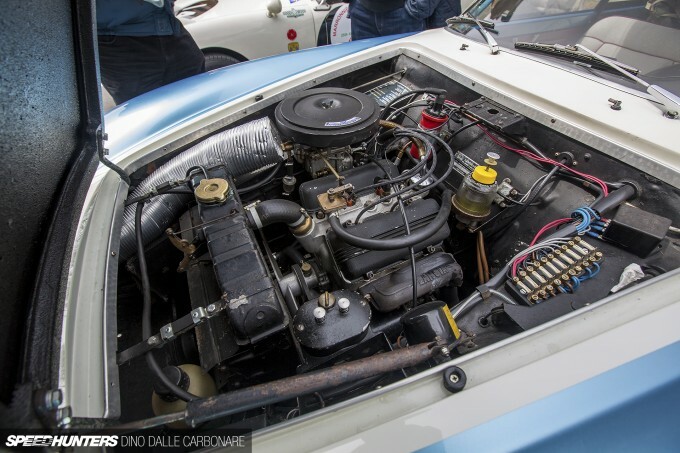 Maserati’s straight sixes went all the way up to 4 liters and truly looked the part in their engine bays. A simple and effective layout is always what makes this engine configuration look so right. If you’re not too keen on straight sixes then a burbly V8 might be more up your street. This 1969 Ghibli Spider was a few positions in front of us in the time trial so I had the pleasure of hearing its glorious engine note screaming up and down the mountain roads we were driving on. 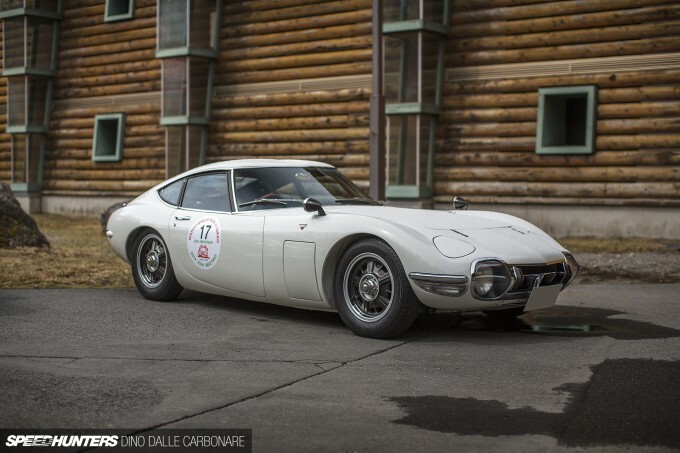 And while we are on the subject of engines in legendary historics I can never pass up the opportunity to talk about one of the rarest and most sought-after Japanese classics of them all – the Toyota 2000GT. We are only four months into 2014 and yet I’ve already come across a few examples at Cars & Coffee in Tokyo and the Daikoku PA. Given the rarity of this car, the owner – like last year – didn’t enter it in the rally itself, just the Sunday morning Concours. Okay, so enough talking, here it is – the 2000GT’s 3M in all its glory. On the subject of rarity, the car I was co-piloting certainly deserves a mention too. This is one of only 420 S30 432 Fairlady Zs ever built, and it’s a numbers-matching car that was authentically restored by Ando-san at TA-Auto in Chiba, who in the past has rebuilt cars for Nissan itself. The restoration that took a few years to complete and absolutely no corners were cut. For 2014, the owner has fitted a set of Hayashi Racing rims to change the look up slightly. This is probably the fourth set of vintage wheels I’ve seen him run on the car now, so I’d be really interested to know just how many sets he has! 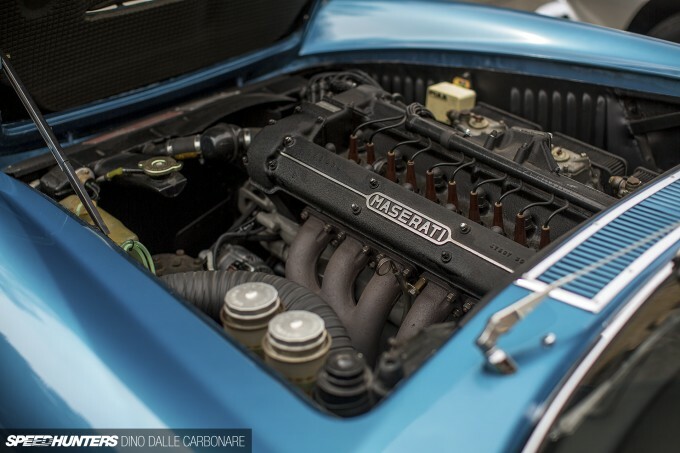 What makes the 432 quite special is that it came with the Skyline 2000GT-R’s S20 straight-six – a 2.0-liter engine built primarily for race applications. It’s got a totally different character to any other L-series and is far more revvy with a very unique sound. I never got the whole wood paneling thing that the Brits used to love doing. You would assume driving a car in a country where it rains quite often, wood would be the last thing you want to expose to water. Well, obviously I’m wrong as it’s something that has characterised a lot of cars like this Morris Mini-Minor Traveller, making them instantly recognisable. Mention timber and you couldn’t possibly not talk of Morgans, which are built on ash (wood) frame with a steel chassis. This particular car was just off on a little test-drive by an ex-editor of Car Graphic - one of Japan’s longest-running auto magazines. 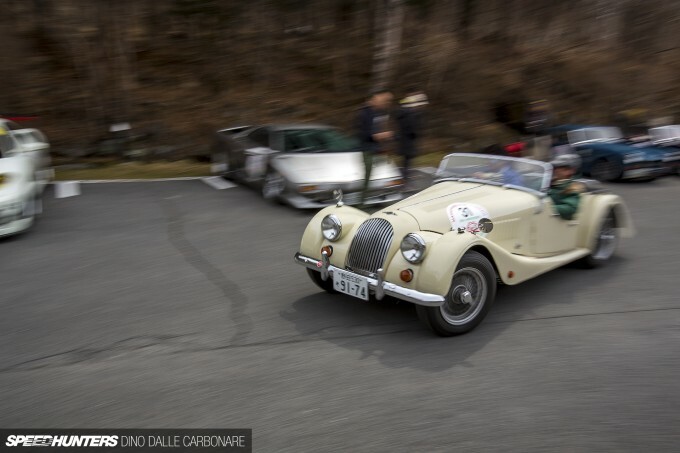 I spend most weekends of the year away covering all sorts of different events, and this year’s Marronnier Run yet again managed to stand out as one of the most enjoyable on the calendar, and another great and very different way to enjoy Japanese car culture. 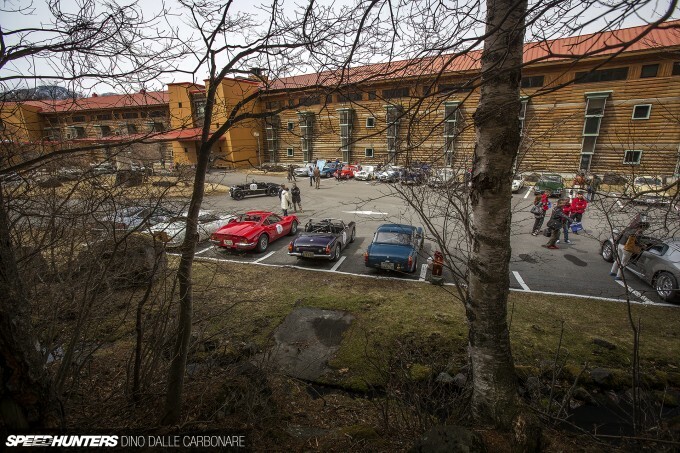 So many awesome Italian cars. 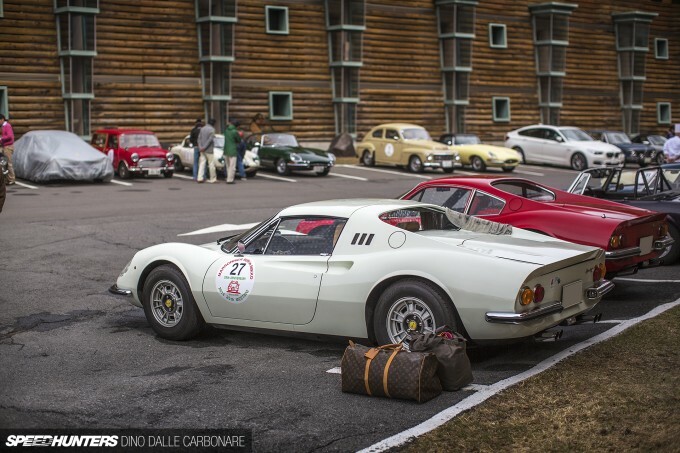 The shot of the Louis Vuitton bags next to the Dino is so classy, super cool. JSequoia Probably not, as the 2000GT didn't yet exist. @Josh speedhunters_dino JSequoia Someone needs to make replica shells of the 2000GT, it's absolutely beautiful and just needs that breath of modern tech to make it an everyday GT car. 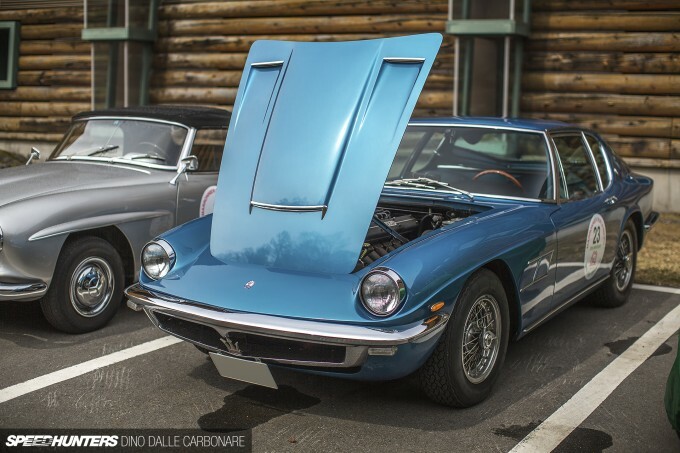 I've always been into older Ferrari, Porsche and Aston Martins, but the first time I saw the 2000GT I was hooked, it was almost too much to admit that everything else was not quite good enough anymore. Gee... Dino, your photos are always on point! WOW WOW !! Perfecto all those cars ! More of the real cars Dino !! What a beautiful post this was. May I ask what the blue #30 car is? 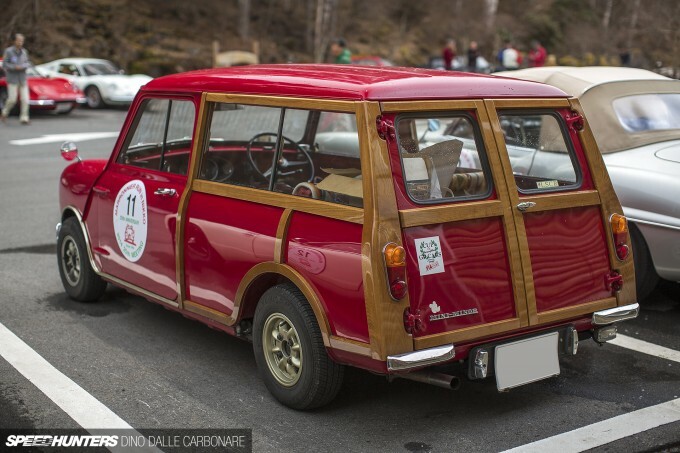 I think on the Mini Traveller, the wood frame is an aesthetic nod to the larger Morris Minor Traveller. That said, wood is pretty good structurally too - as proven by its continued use in Morgans - and I expect it was an affordable solution at the time too. Enticed It looks like an MG Midget to me - albeit one with its front grille and bumpers removed, and rolled arches. Definitely looks a lot harder than a standard Midget! Great article Dino. I really enjoy reading all about the many and varied car events and people you get to see. Looking forward to your next article.